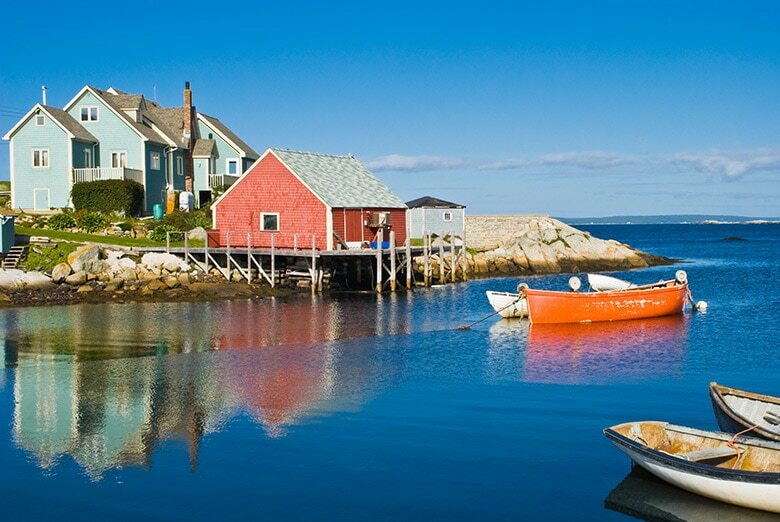 The Maritime Provinces are among the loveliest in Canada. We have bundled the best from two of them into one wonderful summer rowing holiday. Prince Edward Island and Nova Scotia are separated by the Northumberland Strait, and while sharing some similarities such as superb local food and warm, friendly people, they each have distinctive landscapes, history and traditions. 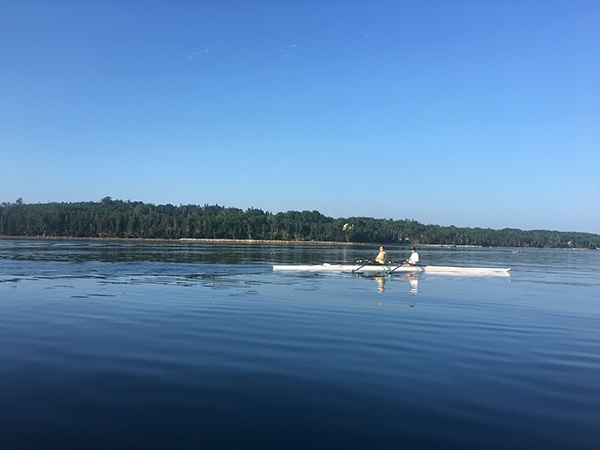 The growth of coastal rowing in these two provinces offers us the opportunity to row in beautiful places and immerse ourselves in the rich local culture. We will row, eat well, visit local sites and attractions and also have time to relax and enjoy our restful surroundings. 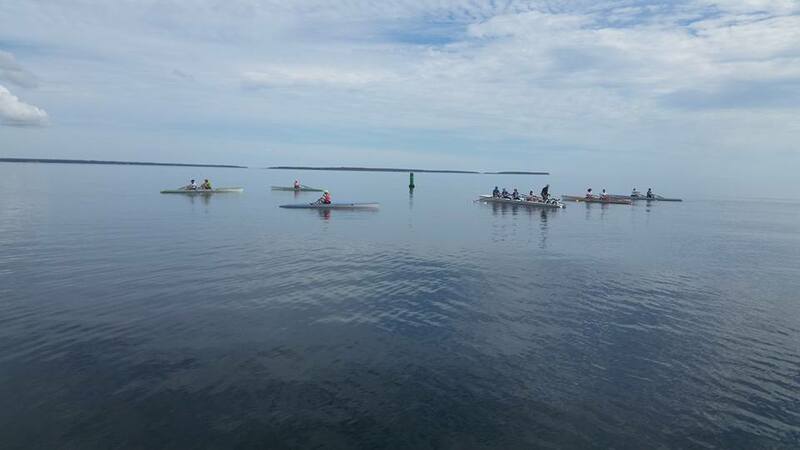 The best way to spend a week in July is a Canada rowing tour, rowing PEI and rowing Nova Scotia! Famous for lobster suppers, potato fields to the sea and Anne of Green Gables, Prince Edward Island, affectionately known as PEI, is Canada’s smallest province. It offers a concentrated dose of delightful scenery, friendly people, wonderful food and lots of ways to have fun outdoors. Now we can add rowing to the list of vacation choices. Enjoy two nights in the capital and two nights at a provincial park and resort. We will launch right in downtown Charlottetown and row the harbour, seeing this historical city from the water. Then off for a little Island living, to explore the beautiful red shoreline, stroll stunning sand dunes, smell the salty air and listen to the waves washing on the multitude of beautiful beaches. Did we mention lobster? Nova Scotia is justifiably called Canada’s Ocean Playground. The furthest inland that you can get from the coast is 67 km. 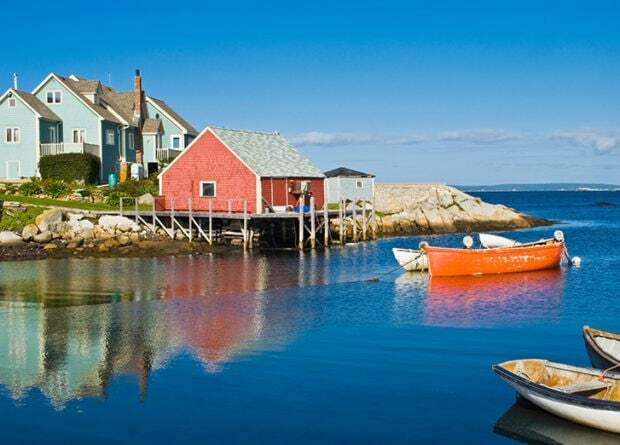 Although the province is only 575 km long, it boasts over 13,000 km of shoreline and about 3,800 islands. That is a big playground. We will row each day from our base in Lunenburg on the beautiful South Shore. Most famous as the birthplace of the Bluenose, the schooner featured on the Canadian dime, Lunenburg has a rich history of shipbuilding, seafaring and fishing, traditions that continue today. The entire old town is a UNESCO World Heritage site. 70% of the original buildings from the 18th and 19th century still line the streets parallel to the water or heading up the steep hill. Painted bright colours with a distinctive design, today they house inns, cafés, pubs, museums, galleries and shops. There are a few more rowing seats available in PEI than in Nova Scotia. We may offer a package of just the PEI portion of the trip, once all the Nova Scotia spaces are sold. If you are interested, please contact us. 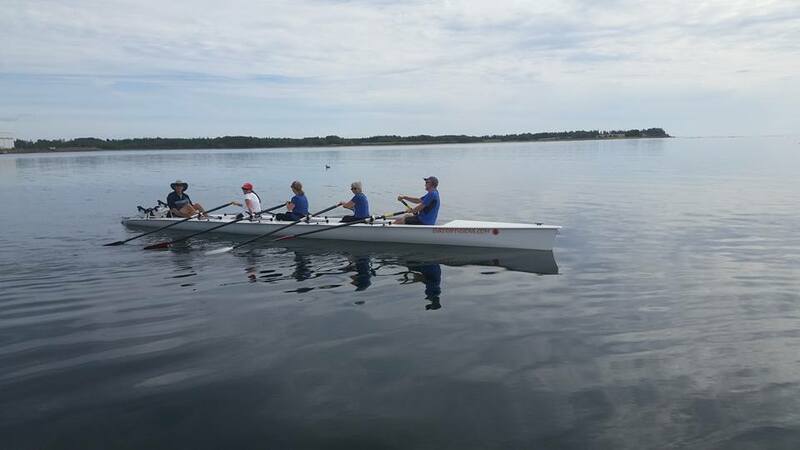 Hey – do you live in driving distance and have your own coastal or open water rowing shell? We would be happy to offer a discount if you bring your own boat and vehicle! Please contact us to discuss. Single supplement price available upon request. Non-rowers are welcome! Note that HST has already been included in the prices. Guide services and tour support. Trip Leader is Ruth Marr. 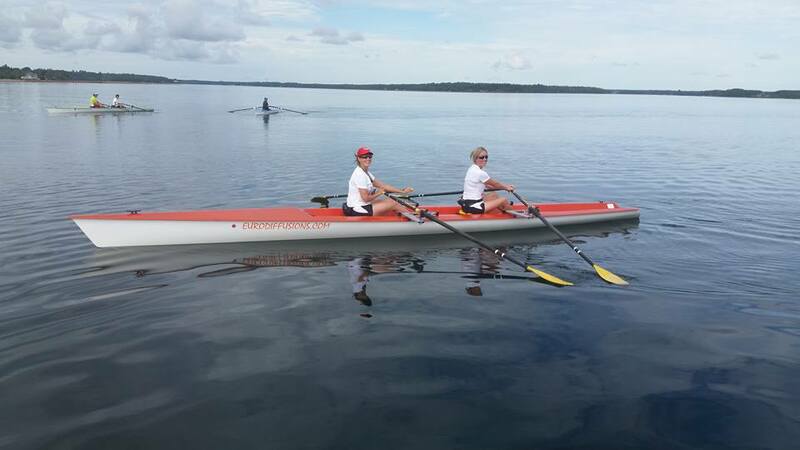 Guided by Nancy Russell in PEI and Karen Kinley in Nova Scotia, along with other local rowers. Note that water conditions, especially as affected by the wind, as well as weather and tides will determine the exact time and location of the rows. Safety is a priority. Thus, on some days, the actual program may vary from this description. Arrival in Charlottetown, the charming capital of PEI. We will discuss the plans for the next few days over a wonderful welcome dinner. Enjoy your first taste of Canada’s Food Island. We begin the day with a morning row right in Charlottetown harbour. Every city is wonderful to see from the water, and this one is no exception. After lunch we will gain a different perspective, starting with a historical walking tour. As the “Birthplace of Canada” there is a lot to learn about in such a compact city. We might have to take a break for an ice cream from Cow’s Creamery. They say it is Canada’s best. Dinner tonight is on your own, we will have lots of suggestions for you to choose from. We head for the eastern part of the province, driving through the lovely rural scenery that PEI is famous for. Potato fields fill the red soil, interspersed with spruce and birch forests. Charming towns and villages and colourful farmhouses dot the route. Our destination is Brudenell Provincial Park, where our resort hotel is located. Let’s get rowing! We can row the Brudenell River, explore Georgetown Harbour or head into the Montague River. All that rowing works up an appetite. What better thing to do than to head to Cardigan for a seafood supper. We have a full day in this little piece of paradise. Of course the main activity will be the rowing. We will choose which waters to explore based on tides and winds. Perhaps we will row past the charming lighthouse on Panmure Island. We will also ensure time so that you can relax in the shade, stroll the beach as well as exploring delightful Georgetown, an authentic fishing community. Maybe we will go clam digging or beach combing? Be sure to take time for a stroll to check out the stars in the summer night. After a leisurely breakfast, we will make our way across and then off the Island via the Confederation Bridge, which spans the Northumberland Strait. It will take a full day to get to Lunenburg, especially as we will make a few sightseeing stops along the way. Once in Lunenburg on the South Shore, we will settle into our hotel in the heart of the town for four nights. We will meet our local rowing friends with a welcome dinner at the Lunenburg Yacht Club. This is our first full day of rowing in Nova Scotia and what better destination than the Tancook Islands? We will row across in the morning, then enjoy a full day there. It is the largest island in Mahone Bay with a small resident population – enough to support one of the last remaining one-room schoolhouses in Canada. We will stroll peppery sand of Southeast Cove Beach, search for fossils and sea glass near the wharf. Most of the residents are lobster fishermen – guess what we might have for lunch? The day ends with a row back to the club in the late afternoon. Today we will row in the opposite direction, to the town of Mahone Bay. It is most famous for the three churches lining the shore. Photographers love to take the scene from the road leading into town – imagine how beautiful it will be from the water. We will work our way around more islands to reach Indian Point, before completing the look back to our base on Herman Island. Or perhaps we should carry spades and continue on to Oak Island to try our luck finding the buried treasure? 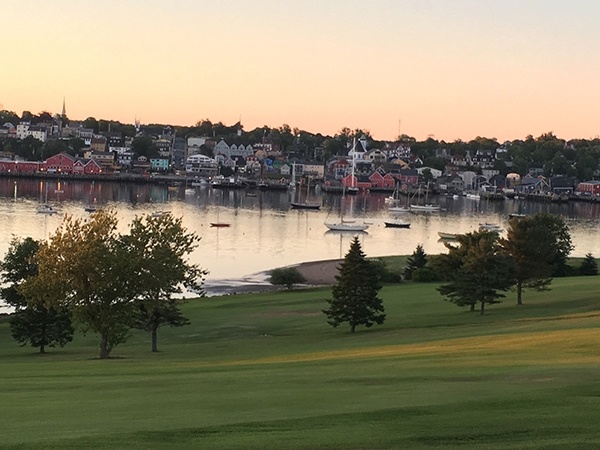 For our final day of rowing we will slip along the shoreline and through the narrow inlets taking us into the back harbour of Lunenburg. Or perhaps we will continue past Heckmans Anchorage to explore the Rackets Islands, a maze of slate rock islands, some barren, some treed. The origin of the name is not known,but perhaps all the barking, splashing and yelping of the seals was a factor? We will be sure to arrive back in Lunenburg early enough to visit the fascinating Fisheries Museum of the Atlantic. Afterwards we can stroll the wharfs and piers of town and see many of the same activities continuing today, with modernized equipment. Tonight is our final and farewell dinner, our chance to enjoy yet more Nova Scotian hospitality. After a leisurely breakfast, transfer back to Halifax International Airport. Perhaps you will head home, although we recommend that you extend your stay to enjoy this very special and beautiful part of Canada.